Easter Sunday 2014 1 Corinthians 15:1-22 – .this.liminal.state. Today we celebrate the consummation of the central event in the church throughout time. The Resurrection of Jesus Christ. Think with me for a minute about the saddest moments of your life. What were they? Well, if you are like me, it was probably the death of a loved one. The hurt and pain of an offense, or a disappointment in life can be replaced by something else, but there is something final about death that makes is so excruciating. When I have done funerals, the thing that I say is this, there is no greater evidence that our world is broken than the casket we look at today. I know I don’t have to tell you all this, because all of us have experienced that truth at some time or another. You can run from death, but you cannot hide. it will catch up to you. I may be soon, or it may be a long way off, but it will come to all of us. Why am I talking about death on Easter Sunday you may ask, well, it is because the fact of the matter is that many people think that the world is broken and needs to be fixed through education, or medical advances, or through programs. Those things are fine, but they are more like Hospice than a cure. They make things more comfortable, but they do not treat the problem. Especially in a culture like ours, there is a great deal of comfort and distraction as we wait to die. Some of you may be in the place where you on hospice and you don’t even know it. The good news is that you don’t have to be on hospice, there is a cure for what you have. We are going to find that in todays scripture. turn with me to 1 Corinthians 15. we are going to read 1-28, its a lot of verses, but we will get through it. So this scripture is from a letter to the church on the city of Corinth. I don’t know if you have heard of it, or know anything about it, but it was a pretty jacked up church. There were people sleeping with their steps mom and proud of it, and they were gluttons, and had all kinds of crazy thoughts. Well, apparently there were some people on Corinth that were saying that there was no resurrection of the dead. Well, here we have Paul setting them straight on the importance of the resurrection to us a Christians. The truth of the matter is that if the resurrection of Jesus was not a historical fact, then everything we believe is junk. if Jesus has no power over death, then we should all leave and live as selfishly as we can until we die, because this life is all we have. Since you may not often think about the origin of death, we are going to look at it here in these verses. Now let me explain a little something to you. What you inherit from Adam is what is called a sin nature. That means that you are hardwired to sin and so, you will sin, and sin often. Now I don’t know what you think sin is, but the term Sin is a term used in archery, and it means to miss the mark, Romans says that we fall short. now this doesn’t mean just that we do things that are bad, it also means that we don’t do things that are good, and that the good things that we do, we dont do them perfectly. You see, many people talk about their goodness in relation to the people around them. It is always possible to find someone who is worse than you. I would be surprised if you cant find them in your house, but if not, turn on the TV, or go to Wal-Mart. I am sure there will be someone there you can find to compare yourself to. But the truth of the matter is that when God looks at us, he is not comparing us to other people, He is comparing us to one perfect person, Jesus Christ. So, our sin is not falling short of the other people around us, but falling short of perfection. SO, thanks to Grampa Adam, we have this nature that automatically goes to sin, rather than holiness. And anyone who has had children will agree with me, you are born with it! I was listening to NPR the other day and they were talking to some type of behavioral expert and he was saying that there is an age when a human is at their most violent and selfish. Do you know when it is? 2! He went on to say that when an adult acts violent and selfishly that they are just 2 year olds in a grown body. Now, a reminder, just like when you do your job, you earn a wage, when you sin, you earn something as well. it is called death. So, to clarify, when our first parents disobeyed the command of God, they sinned, and brought sin into the world, they passed down a sin nature to each of us, and now, every human is born with the proclivity to sin by acts of commission, and omission. And the proof of all that brokenness is death. So, just in case you are on the fence about your sinfulness, let me as you a question, have you ever told a lie? raise you hand if you have ever told a lie. what do you call a person who lies?… who in here has used the Lord’s name in vain?…Who here has ever looked at a person with lustful intent in your heart?… Jesus called that adultery… So, if you had your hand up for all of those, you are lying, blasphemous adulterers. and that is only three of the ten commandments. you have a sin nature, and you have earned death. Here is where the good news comes into play. 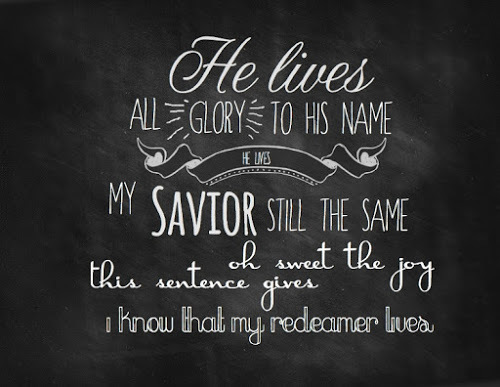 The rest of verse 22 says, “so also in Christ shall all be made alive.” This statement points back to verse 3, when he says that Christ Died for our sins. this is one of the most beautiful statements in all of scripture. Here is the thing that you need to see in this text, Just like our inheritance of sin came through Adam, the possibility of life comes through Jesus. But how did it come through Him? Well, where Adam failed, Jesus succeeded. Where Adam disobeyed, Jesus perfectly obeyed. Where Adam Faltered, Jesus fulfilled. Jesus was perfect in every way, he obeyed all the commands of scripture, and lived without sin. Yet, he was crucified. So, the thing is, Jesus did not earn death, but he was killed. and because he was paid for something he didn’t earn, we can be given a gift of something we haven’t earned either, life, eternal. He took the punishment that we deserved, so that we can have the reward that he earned. The problem is that we have seen him die for sin, but how can we trust him to bring us eternal life unless he shows his power over death. Which is why He had to rise from the dead, to prove that he had authority over the grave. Jesus has authority over the greatest evidence there is of our broken world. He concord it, and came back to tell us about it. Now, I dont have time to go into this, but here is the thing that gets me about all this. The resurrection of Jesus, is a fact, not a fairytale. you know how we know this? there is no grave. every other leader in history hd a grave site that turned into a sort of place for their followers to make pilgrimages to. but there isn’t one for Jesus. One incident that appears in the text we are reading today is that He appeared to over 500 people after he resurrection. And at the time Paul was writing this, some of them were still alive. That is a lot of eye witnesses. So, you are dead in sin, you deserve death, Jesus died for your sins, and rose again. So, what do you do with that? Well, here is what you need to do, Repent, and trust in Jesus. Repentance is a change in your mind. It means you recognize that you are a sinner, you stop comparing yourself to other people, and look at yourself in light of who God is. you recognize that you are jacked up, and you confess it to HIm. You say, I have sinned against you God, and I cant earn my way to you. I need someone else to pay for my sins, and make me new. Jesus, I believe you tok my sins upon you on the cross, and you raised from the dead to prove you have power over death. I trust in your good works and your death in my place to be the basis of my acceptance before God. Please come in my heart and make me new. You know what happens when someone repents of their signs and trusts in Jesus’ finished work on their behalf? They are a new creation. They go from death to life, and they are forgiven, clean, reconciled to God, made new, washed, cleansed, reborn. They go from death to life. Is God drawing your heart to respond to Him in that way this morning? If so, we are going to give you some time to respond to the Holy Spirit’s call in your heart today. AS we sing this next song, if you would like to come down for pray to respond to Jesus, and trust in His death and resurrection for you, please come down here and pray, either by yourself, or with one of us down here.